We have all enjoyed the thrills of biking on the Bullet – Being one with Nature, the accompanying courageous thump, the wind on our faces, the fresh smell of nature and speed to thrill our hearts faster, the skill of riding and negotiating the roads not forgetting the scenic places we cross. Silver Bullets Winter ride -- A pretty long awaited one after the 2000 km Goa ride in October. And unfortunately it also gave us a taste of the other side of Motor biking – Accidents. We were supposed to start at 8.00 am on Sunday, 24th December 2006. 8 changed to 9 and then 9.30.am we could start off. We assembled at Kowdiar square. Our pal Ajith also turned up to see us off. Our bikes were all in excellent condition – if anyone were to ask us to go a 1000 km at that instant – the bikes were fit for that. That’s our confidence in the Bullet and the way we take care of that. We planned to reach Ponmudi, a distance of about 60 km in 90 minutes considering the steep hairpin bends and poor roads. Dr.Gopu was supposed to join us from Palode. Jay led the group, followed by Jayan, BT and Anil. The loud Goldie exhausts of the 3 bikes did make heads turn more. The Christmas Eve traffic didn’t let us speed much above the 60 speeds. The roads were pretty bad after the rains and were narrow and winding too. - We were spending more time in negotiating potholes and oncoming traffic. In the thrill we passed Palode junction and stopped some distance ahead. No sign of Gopu. We stopped for tea at Vithura junction. Gopu called asking us to proceed to Ponmudi, as he would be late. We passed by Kallar up and reached Ponmudi mountaintops. The zigzag roads up the mountains made for interesting riding. The Bulls too had an easy time climbing up the steep mountains. It was mostly 2nd and 3rd gears. There are about 22 hairpin bends. It was like moving up a refrigerator to the freezer – cooler with every couple of zigzags. The thick clothing and jackets we put did not let us feel the difference, but I had opened my helmet visor to feel the fresh air as I rode up the mountains. Some of the climbs were real steep. One wrong move and it would be a long fall for the motorbike and rider. 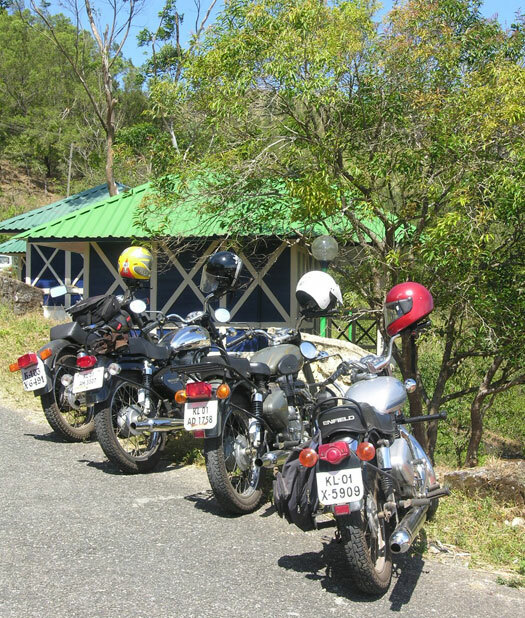 I must say all must do a Ponmudi mountain climb on the Bullet. You can learn negotiating sharp curves along with traffic in opposite direction and steep dangerous slopes on one side. No Risk – No Gain. We were basking in the hilltop sun for sometime and taking a few snaps. That’s when Gopu called us to say that that he was stuck in the 17th hairpin bend. 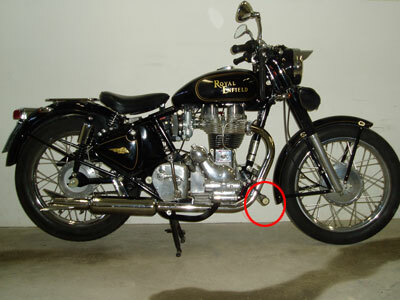 His Bullet 350 standard would not start. It seemed like the piston was stuck. We rode down and joined him. Despite all our attempts, the starter would not budge. We put cold water, some oil and petrol hoping that the piston would budge. We munched on biscuits and mineral water as we tried stunts to get the bike started. Well the Bullet showed real “BULL” behavior by refusing to start. We had no option but to roll it down the mountain. Gopu took it down the mountain while we followed. At the bottom of the mountain we went to the junction. 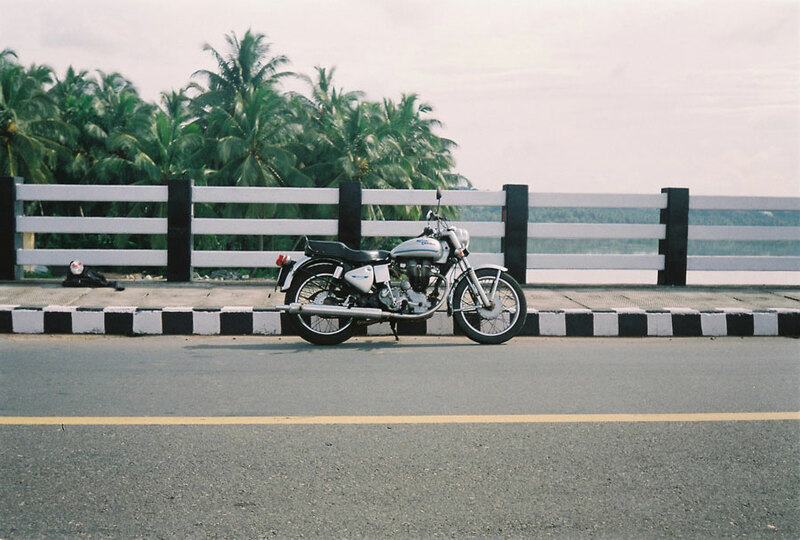 A jeep driver offered to take the bike to Trivandrum city for Rs.700. Steep and we had no choice. So off it went with the front wheel stretching out slightly. The hot sun had made us more tired. We rode on to Vithura junction and had simple meals. 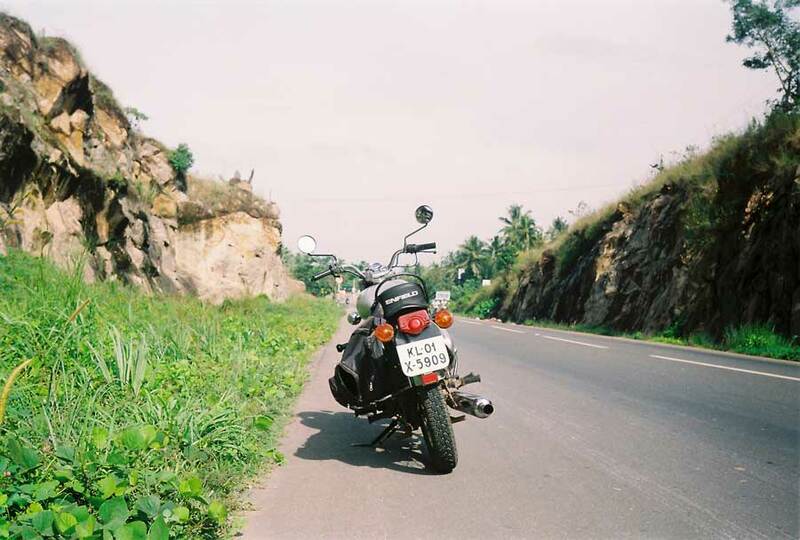 We then headed to Trivandrum – approximately 40 km. We did 60 plus and the curvy roads were empty. As we reached Anad junction, Jay sped away followed by Jayan. 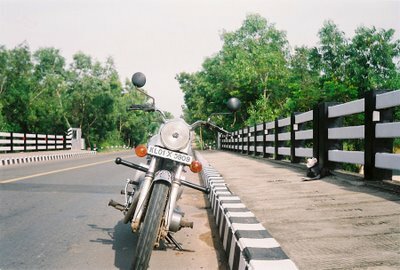 Anil approached the junction - a scooter guy crossed the road. Anil turned the bike to the left quickly but had to slam the front due to lack of room. The front wheel got locked and bike fell on its right side and Anil hit the ground. He had a deep cut on his chin and blood flowed. The scene was gory as any accident scene is. 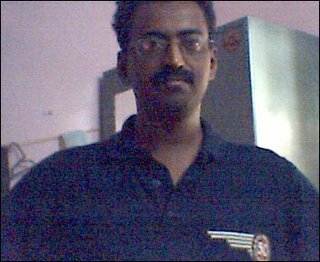 Jay took him to Nedumangad taluk hospital and later to KIMS. If he had a full-face helmet, he could have just dusted himself and rode ahead. After this incident, Silver Bullets has made Full-face helmets mandatory for group rides. Gopu saw our bikes later on from the jeep and came across. He rode Anil’s bike back to town. A bent footrest and broken headlight. I rode to KIMS where Anil was waiting for the surgeon to stitch his chin in the emergency. 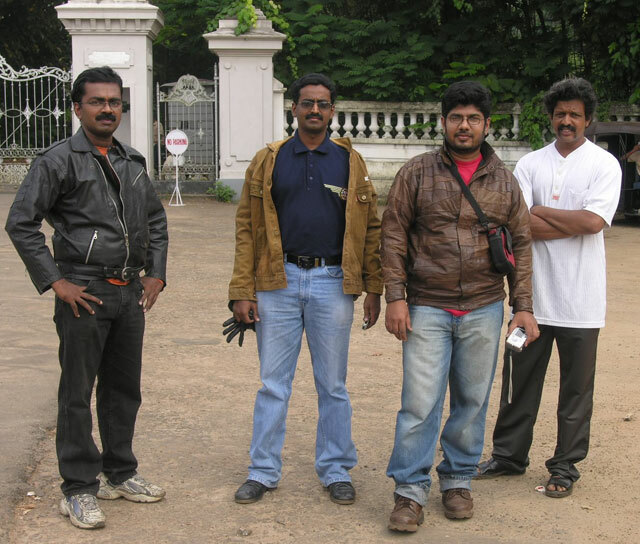 Jayan joined us later with Ajith. He was discharged next day. Some things on riding I thought I should mention – Chance favors the prepared rider. 1. Always wear protective gear while riding – Full-face helmets, jackets, thick/riding pants, gloves, and shoes. 2. Switch on your headlights while riding in daytime also. You increase your visibility on the road. My parents called up to say there was a courier from Royal Enfield…(seemed to contain some spare parts they said.). Spare parts. ? Well I had been waiting for the 2 T-shirts for the 2 of my ride write-ups published on the RE site. But spare parts...????? 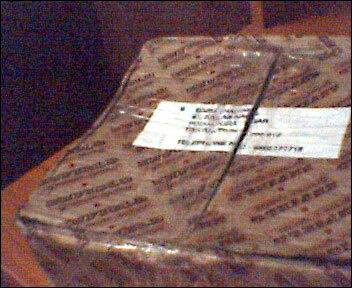 When I finally got the package, yes it said, “RE Genuine spare parts”. I broke open the package in no time. WoW --- 2 dark blue T-shirts with a cool embroidered logo. 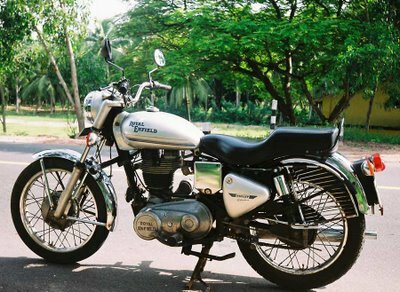 Saying “ Royal Enfield – 50 – The Legend Rides on”. My wife and I put on our RE – T’s and headed to Town on the Bullet. We were proudly sporting it. People definitely took notice of us sporting same T’s. The logo is similar to the Bullet logo on the RE Standard bike fuel tank. But the extent of publicity came as we passed by Jay’s office (our Tvm Bulls moderator) and dropped in to see him. One of his colleagues said he had seen us at Saphalyam shopping complex and guessed that we were part of some Bullet club! The Thin Line – Moderating Biking groups. Being a moderator is no easy task – You have to brush aside your personal preferences, egos, and bias and even sometimes kill your jealousy, anger by saying please and try to be a neutral person. This is not for your interest. It is in the larger interest of the Group and its members. As a moderator, the group and its members are larger than everything. And as in a democracy, most of the times the majority wins. E-Groups are all about communication and sharing of ideas,experiences, pictures, videos, meetings and all fun the related group can have crossing the boundaries of distance and time worldwide. We all live only once.– And we may never meet many of the people in the group. The moderator has to draw the line in many cases relating to comments or information by the members. Diplomacy, patience, tolerance and a persuasive nature are the main ingredients. One of the Primary concerns of the moderator should be to ensure that the members are not attacking other members in the group through comments of the nature of – Racism, Hate, Political views, Abusing with foul language. Etc. More importantly, “the moderator should control his language” irrespective of the outbursts of the groups members. If the moderator starts using the same language – he basically stops being a moderator and joins the Hoi Polloi. So basically then you have a Group that “does not have a NEUTRAL moderator”. This results in a fend for yourself situation where the group members have a choice to either support the Moderator or the supposed offender who posted the (ok or not ok) remark. Or have a field day …saying whatever they want. This is a wanton waste of Time and Energy. Again if the moderator finds some remark unsuitable, asking for an apology in the “first instance” is TOTALLY WRONG unless it’s that gross or a national crime! Group members are valuable people. The moderator has to respect them and act diplomatically. We live in a free country and can voice our opinions. The moderator’s victory lies in restoring peace in the forum in the event of a controversial remark, and by retaining members from leaving the forum. So basically by his moderation he can make or break a Group. I do hope this helps in making better e-group moderators. Probably no. And all these attributes are imbibed by most riders of the RE Bullet who have the spirit. I do find that in most Bullet riders that I met, they have a personality and passion, which is extra and different - and are a class apart. I’m not talking only about my Bullet Club pals. Yes, beyond doubt they are a class apart. I’m talking about people from other walks of life too, that I have met and found these qualities. I’m of the opinion that owning, caring and riding a Bullet makes a person more responsible, powerful and rich in spirit. And once you have the spirit – Life is an easy ride. I have been riding motorized 2-wheeelers ever since I was about 12 years old. I started out with my Dad’s Vijay Deluxe (1977 model) scooter in Goa. It was good. Real good. I liked it because it was different from other 2 wheelers on the road or what my friends Dads had. – Priya, Lambretta …. And the ubiquitous Bajaj. I never really like those scooters. Why ? Well Lambretta was pretty bulky – I always felt it was wearing a coat 2 sizes larger. As for Priya and Bajaj scooters, their huge curvy sides created a distaste in my mind. (However, now I have a different opinion on curves after knowing about the female species!) Somehow I always felt that Vijay scooter was slim and could go faster. A child’s Perception probably. Anyway I fancied the Vijay scooter a lot that I did take it to my +2 days in college also in 1989. Those were the glory days of the Yamaha RX 100. Dad migrated to Vespa T5. I was probably the only guy with the Vijay scooter in college. Dad refused to buy me a motorbike at that time. Flamboyance - Most Adolescents want that. So did I. So I got my Vijay Deluxe painted fine in complete dark blue. The wheels hubs were bright yellow. I can still see the picture in my mind. I did make my mark at Chowgule College with that scooter. Mileage was something I never looked at with petrol prices at Rs. 10 per litre. 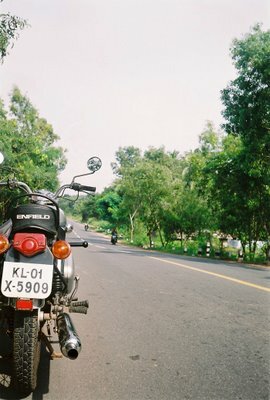 There was one hardly 5 ft, thin guy who used to come to college on a shiny Black Royal Enfield Bullet occasionally (– because he borrowed the bike to show off to chicks). Yeah he was successful in impressing the chicks. No doubt that the RE Bullet had a major contribution. Many times I wondered how thin and short guys could manage to take a Bullet around? Or was it the other way round – Was the Bullet riding these puny people! That did give me confidence, if they can ride, then I too should be able too. I used to visit my uncle once a year in Kerala. He was my only relative with a Bullet. I asked him about riding it. He said. 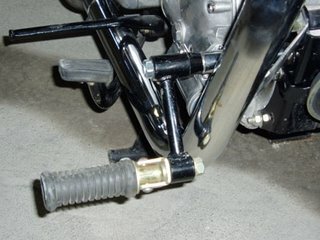 If you can push it around and put it on the center stand then you can ride it. True. The Bullet fascinated me – No doubt, there was an inner thump. I came to Kerala for my graduation. In 1994 my lodge mate happened to be a Bullet owner. He’s not tall – probably around 4 feet or slightly more. To better describe it, in bulletictionary, when he sits on his Bullet, his feet don’t fully touch both sides of the ground. He rides it wonderfully. Probably for him the Bullet signifies POWER. And riding it makes him feel powerful despite his height. This power is transcended in all his activities and in his personality. My inner thump continued, when I proceeded to New Delhi to do my MBA. One of our senior successful guys in the firm I worked was a Bullet fan. He owned a classic bullet. I too considered buying a new Bullet in 1997…the red, black chrome Machismo was awesome. But then changed my mind due to work reasons. I never wanted a second hand Bullet and finally got myself a brand new Bullet in 2002. So do Success and Bullets go together? Well it is a debatable topic, but I have found that those who are passionate about their Bullets are a class apart and a Bullet helps them through their personality to be successful in life. Each one has a different definition of Success. One person may define success if he is able to afford a Bullet and ride it in the city, whereas for another person success could be a position in the workplace, or for someone else it could be purely materialistic – owning a posh house or Mercedes. I have a piece of advice for the successful people who do own a Bullet and are passionate about it. If you are successful and in that endeavor a Bullet helps you, don’t hesitate to mention it given an opportunity. For example, if in making your music video or documentary, you have used a Bullet – mention it! If you are getting an award, show your passion on stage. Hey...i didnt expect you here...Nice to meet you ! Now dont i look a natural part of the scenery ? Gigantic ! - See i dont fit in your camera too ! His majesty, the Royal Highness of Enfield has stopped..... Now you may pass. Bye guys..Silver Bullet's gotta Go ! Thump on. 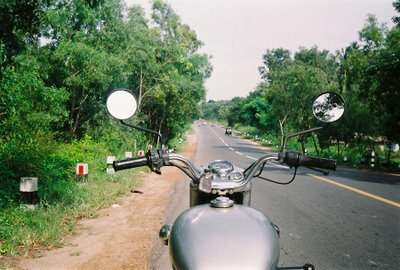 2000 km ride on Bullet in 94 hours ! Hi, my writeup on the Goa ride is below. 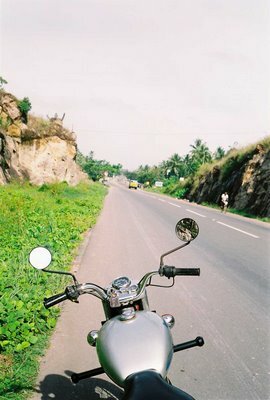 It is more of a motorcycle diary.... more joy for the riders who actually went on the ride to relive the moments. Raring for the next ride ! I came across this Bullet club in FInland where one of the guys has modified it so that the legs stay a little forward when seated. Its supposed to be more comfortable - more like sitting in a car. My fascination for the Enfield Bullet started may be when i was a kid... seeing my uncles Enfield Bullet when i used to come home to Kerala for vacations from Goa. I cant recollect exactly what fascinated me but i think may be it was the distinct thump was what attracted me to it first ... simply awesome raw power -- and all that heavy metal (also it is an head-turner in the streets!) . Later on we could always see the tourists zipping on in Bullets in Goa coming from all far off places like New Delhi etc. 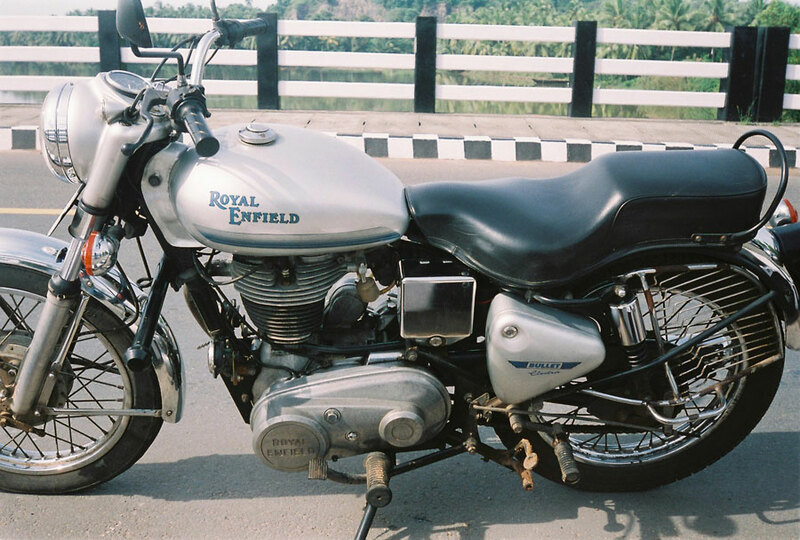 All preferred Bullets...Even today it is the most prefered touring bike in India. When i went to purchase a bullet... a lot of people advised me -- its too heavy , brake and gears are on opp sides - and other stories. I just pushed it all aside and went and bought one. I took to riding it just like a fish to water -- (Sometimes your heart knows what you need !!!!!). I hope to put up more stuff on the Bullet . 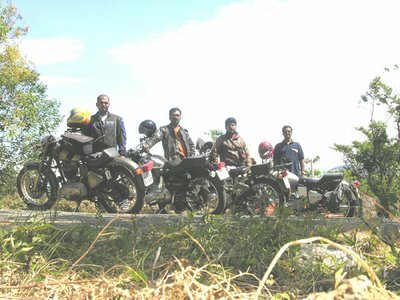 By the way, my user name is BIKER BT .....is no way related to any motorcycle gangs (in the negative sense) -- motorbike riders are bikers and a biker by any name will feel the same thrill on a motorbike!